Rejuvenate your day with an upbeat and refreshing sound by Loud! His music offers a new wave of warm, summer vibes with his tropical house beats that are truly made for dancing. Loud, also known as Mathieu Lesage, is a young French producer that is fresh on the EDM scene and is likely to gain notoriety in the near future. 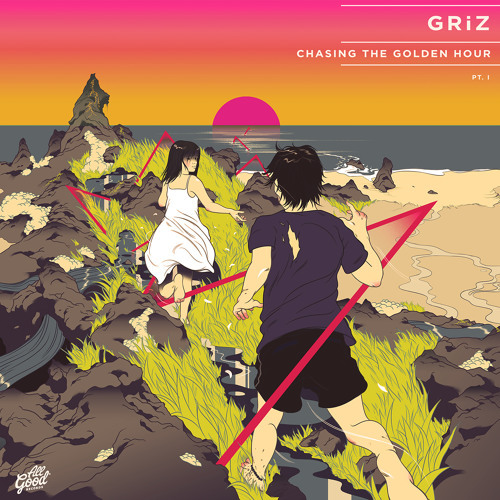 Tropical house, often characterized as a summery or tropical feel, is emerging into the electronic music sphere as a new style that utilizes a mix of melodic hooks, smooth saxophone, exotic steel drums, and elegant flutes. Loud is a stellar producer that is able exhibit pure mastery by capturing emotion in his tracks with exhilarating vocal samples, potent hooks, and clean production. Loud isn’t just a phenomenal producer, he is a talented graphic designer as well and creates all of his own album covers and artwork. He explained that when he is in the zone of creating music or art, he likes to be in a super good mood before sitting in front of the keyboard. Loud, who has a Hawaiian background, says he gets the inspiration for all of his songs by thinking of the summer,the sun, and holidays. Although Loud may be fresh on the scene, he will power his way into the hearts of true EDM lovers and fanatics before you know it. Are you looking to uplift your mood and invigorate your mind? If so, “Music Therapy” is just what Dr. Blaster has ordered. His relaxing melodies are layered over soothing, trance-inducing beats that will captivate the listener while guiding them through a serene dream-like setting. Dr. Blaster’s jazzy arrangements are elegantly mixed with hypnotic basslines and elements of hip-hop and downtempo beats throughout. His immense musical talent shines through on his all of his released albums which are available for free download. There are lots and lots of artist that influenced me, but to keep it short, and in “Music Therapy”‘s mood, I’ll say, “80’s Casual,” “UM (le villain)” especially with “Rare & Limited Beats Vol. 1,” “heRobust,” “Thriftworks” (Pillows in the Wood), “Onra,” “St. Germain” and Gramatik’s drums. Dr. Blaster first started producing Electro music in the band “The Steppin’ Brothers” (Arthur Tixhon, Solo 700, and Blaze Rod) from 2008 to late 2011, then he joined “Colonel Up and Mister Down” and produced deep/oldschool dubstep with the same guys. He decided to slow down a bit with “Colonel Up and Mister Down” and started his own side-project. At that time, he was Koan Sound’s biggest fan, and due to their influence, he began a hip hop project with heavy bass and big drum sounds. Dr. Blaster slowly drifted more toward mellow and chillhop vibes. He is currently working on some loungy tunes along with instrumentals for a couple of MC’s. Ludovico Einaudi is an Italian pianist and composer who embraces the meditative qualities that are present in the minimalism of contemporary pop. Einaudi is able to seamlessly convey the pure emotion in each instrument that plays a role to help complete each musical masterpiece. Einaudi started his career as a classical composer and soon began incorporating other styles and genres, including pop, rock, world music, and folk music. Einaudi was born in November 1955 in Turin, Italy. When he was a child, he would always listen to his mother play on the piano and in time, he become intrigued with the ambiance in different musical notes. As a teenager, he started composing his own music by writing his first song while playing a folk guitar. It was not long before he found the prodigious influences of the piano, synthesizer and keyboard to be something he could never part with. Einaudi composed the scores for a number of films and trailers, including The Intouchables, I’m Still Here, Doctor Zhivago, and Acquario in 1996, for which he won the Grolla d’oro for best soundtrack. He has also released a number of solo albums of piano and orchestra, notably I Giorni in 2001, Nightbook in 2009, and In a Time Lapse in 2013. In 2006, Divenire, is a collaboration of piano and orchestra by Einaudi. The album also includes his critically acclaimed track “Primavera.” It was recorded by the Royal Liverpool Philharmonic Orchestra with Einaudi, as the piano master. 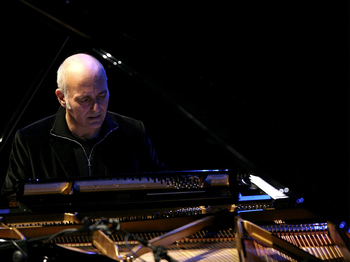 Shortly after its release, Einaudi went on tour to various places in the UK, playing both the music on Divenire and orchestral arrangements of his other works. The album topped the iTunes classical chart in 2006. In October 2009, Nightbook was released. The album saw Einaudi take a new direction with his music as he incorporated synthesized sounds alongside his solo piano playing. His newest album, In a Time Lapse, was released on January 21, 2013. Are you ready to get funked up with Big Gigantic’s groovy-electro sound? Big Gigantic mixes electronic roots with funk, jazz and dubstep influences. Big Gigantic is an instrumental electronic group based out of Boulder, Colorado consisting of Dominic Lalli (saxophone) and Jeremy Salken (drums). Both members have extensive backgrounds in music, and Lalli holds a Master’s Degree from the Manhattan School of Music. 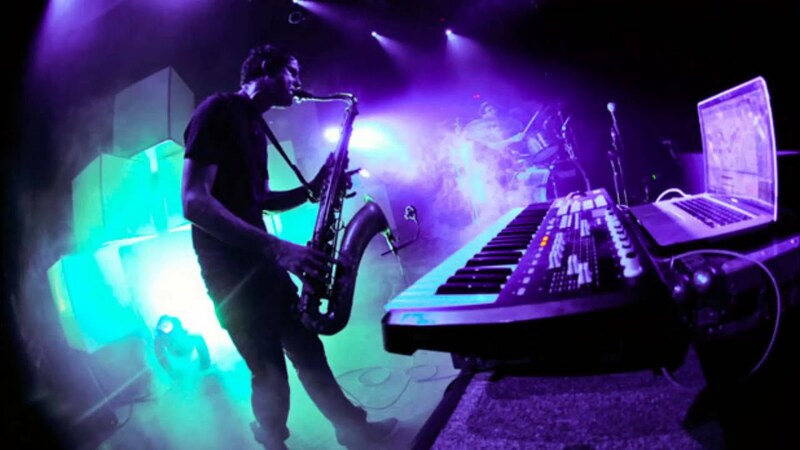 Big Gigantic is known for their high energy performances including live saxophone and drums instrumentation. The group’s dynamic visuals at their lightshows are a prominent part of the live Big Gigantic experience. From playing at small venues around Colorado, to instantaneously headlining shows throughout the country and hitting major festivals, Big Gigantic showcases an amplified array of compositions that combine elements of DJ production and a live band that leaves fans from coast to coast in awe. hey have played at a wide-range of large-scale music festivals, including Bonnaroo, Wakarusa, Ultra Music Festival, All Good Music Festival, Electric Forest Festival, Summer Camp Music Festival, Snowball Music Festival, and Global Dance Festival, and many others. Big Gigantic has opened up for groups like Pretty Lights and Bassnectar. Lalli has a Masters degree in saxophone jazz performance and has been making music for nearly 15 years. The duo used to live together and would do jazz and funk gigs around town in Colorado. After a little dabbling into music production software on the computer, they started making beats together blending electronic music with live sax and drum instrumentals. They have been refining their sound into a genuinely unique fusion of saxophone melodies, acoustic drums and bass-heavy electronic music production. Their newest album, Nocturnal was released in January 2012. Their style cannot be classified into a single genre, but an exceptional variety of glitch, dubstep, drum & bass, and jazz that combines to form the essence of a funky groove. Minnesota has gained popularity while pushing the boundaries in both drumstep and glitch production and I am not talking about the state! Minnesota, also known as Christian Bauhofer, is one of the Northern California’s most up and coming DJ/Producers. His progressive sound blends dubstep roots with glitch-hop, trance and house influences. 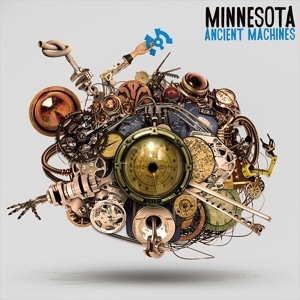 Minnesota is known for dropping heavy bass over carefully constructed tracks that focus on modal harmonies, chordal patterning and rhythmic synth riffs. Bauhofer looks like any other student but when the sun goes down his alter ego turns into DJ Minnesota at night into the morning hours. 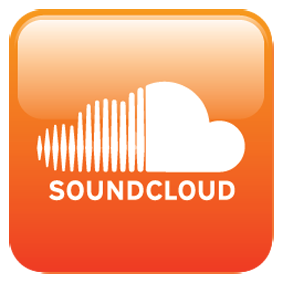 Minnesota tracks are heard in dubstep/glitch sets all over the world, including those from DJs Reid Speed, Marty Party, Blackheart, and Rastatronics, to name a few. His latest and greatest remix of “California Dreamin’” by the Mamas & the Papas has been getting tons of play — most notably by dubstep trailblazer Bassnectar a.k.a. Lorin Ashton, on his current U.S. tour. Minnesota’s career goals came further to fruition when he was signed under Madison House Inc. in November of last year. With the support of Madison House Inc. and Vital Management behind him, Minnesota’s career has certainly been propelled to great heights in a short period of time. In terms of production, Minnesota’s tracks represent major influence from song writers that have gained his admiration. Other artists such as Mimosa, Martyparty, Modeselector, have truly had an impact on his production and success. Yet, it is impossible to undermine the value of some of his personal favorite artists such as Bassnectar and PANTyRAID throwing his tracks down during their sets. This hidden musical gem will soon be a rising star that will be getting the attention he deserves. Minnesota has put his college life on pause as he is taking a break from UC Santa Cruz this spring to focus strictly on music. With multiple EPs coming out on MalLabel and Simplify records in the next few months, fans will be excited to hear some more of Minnesota’s signature bass-driven sound. Rjd2’s music is a collage of hip-hop production that combines disparate elements to make for soulful, moody portraits of the world. RJD2 (born Ramble John “RJ” Krohn on May 27, 1976) is an American music producer, singer and musician. His sound is comprised of east coast hip-hop roots fused with funk and rock influences. RJD2 was born in Eugene, Oregon; and raised in Columbus, Ohio. He currently resides in Philadelphia. He was signed to the Definitive Jux label where he released two largely instrumental hip hop albums and has produced tracks for many prominent rappers. However, he has now left Def Jux and has signed with XL Recordings. His 2007 album, The Third Hand, is a striking departure from his usual style and features RJD2 singing and playing instruments on nearly every track. RJD2 originally began his career in Columbus, Ohio, DJing in 1993 with a pair of turntables bought from a friend. He went to high school at Fort Hayes Metropolitan Education Center, where his mother taught dance, and graduated in 1994. He claims his name originates from another friend who referred to him as “Rjd2” in his raps, and the name stuck. Originally working the role of DJ in the Columbus rap group MHz, he later signed to Bobbito Garcia’s Fondle ‘Em label, releasing the self-proclaimed “mix CD” Your Face or Your Kneecaps. A year later he signed to El-P’s record label Definitive Jux and released his solo debut album Deadringer to much acclaim. Rjd2 later collaborated with Columbus rapper Blueprint under the name Soul Position, releasing Unlimited EP in 2002 and 8 Million Stories in 2003. He released his second solo album Since We Last Spoke on Definitive Jux in 2004 and released Soul Position’s second album Things Go Better with RJ and AL in 2006 under Rhymesayers Entertainment label. He still continues to produce tracks, working with many independent rappers, such as Copywrite, Cunninlynguists, Cage, DOOM, Diverse and Aceyalone. He contributed a cover of “Airbag” by Radiohead for the 2006 album “Exit Music”. 2006 also saw the release of the collaborative record “Magnificent City” with Aceyalone. In 2007, he released the solo album The Third Hand on XL Recordings, which he toured for extensively in ’07 and ’08. In 2009, RJD2 established his own label, RJ’s Electrical Connections, and reissued Your Face Or Your Knee Caps, The Horror, and Since We Last Spoke as well as a box set entitled “2002-2010”. RJD2’s new full length The Colossus was released on January 19, 2010 on his own label, which is distributed by The Orchard. On January 7, 2010 a music video for “Let There Be Horns” premiered on Pitchfork followed by a video for “A Spaceship For Now” on March 3, 2010, directed by Michael Ebner, via SPIN Magazine. In 2010, RJD2 remixed indie rockers Yo La Tengo’s single, Here To Fall for the Here To Fall Remixes EP which included remixes by De La Soul and Pete Rock. Kick back and relish in the solace of immaculately produced hip-hop beats and instrumentals made by Gramatik. His delightful musical style blends hip-hop roots with jazz, soul and blues influences. Gramatik’s ability to apply a hypnotic groove with layers of vocal samples, sounds, references, and metaphors has continued to fascinate those who have stumbled across his music. He is distinguished in his effort of using chordal patterning and tonal harmonies to create a clean and cohesive sound. 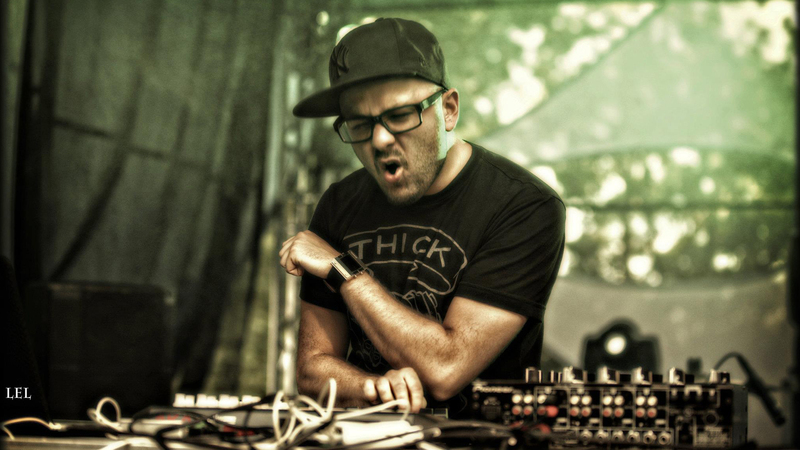 Denis Jasarevic, better known as Gramatik, is a hip-hop producer from Slovenia who is currently signed with the Pretty Lights Music record label. This Slovenian producer was heavily influenced by American music early in his childhood, absorbing anything from funk and jazz to soul and blues. When Gramatik was in the 2nd grade, he started taking piano lessons at his elementary school. He later received private piano lessons which opened his eyes to learn to play music like the Beatles and rhythm and blues in general. In the 4th grade, he formed a band with a few of his classmates and became the youngest band in the history of his elementary school while playing school events regularly. As soon as Gramatik reached high school, the discovery of hip-hop music had taken over and he was compelled by the power of the rhythmically accented poetry. He studied the ways of an MC and started writing his own rhymes while his friends were amazed by his flow and delivery since there were no hip-hop artists in his home town of Piran, Slovenia. Throughout the years producing beats day by day he felt more compelled by the craft and magic of music production. It wasn’t long until he discovered a niche in sound and voice sampling which became his true love in the music making process, chopping up all those old funk, soul, blues and jazz tracks he used to listen to when he was younger. If you throw a little bit of acid jazz, funk and soul into a musical blender, the result is a rejuvenating chillout mix from Nightmares on Wax. This sound features downtempo roots with funk, soul and jazz influences. 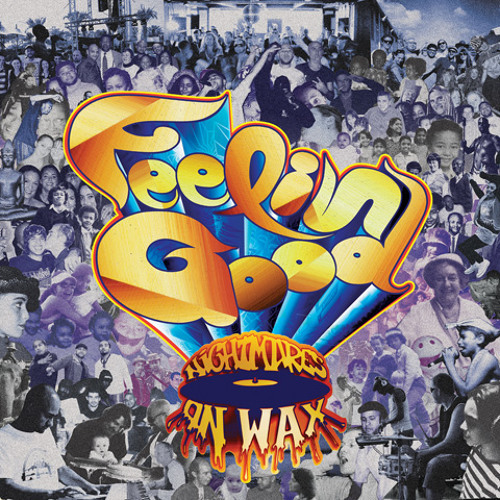 The name Nightmares on Wax is an acronym for NoW, as the music has been described as “the sound of N.O.W.” to exhibit pure honesty and artistic freedom. Nightmares on Wax consists of a English based DJ, George Evelyn, also known as DJ EASE (Experimental Sample Expert). Evelyn got his start in the music industry through an interest in hip hop and on joining a local breakdancing crew. George Evelyn currently resides in Leeds, UK while he became one of the brightest spots on the post-rave British techno map since the early ’90s. Nightmares on Wax formed in the late ’80s in West Yorkshire as an extension of Evelyn and company’s b-boy crew the Soul City Rockers, NoW’s first singles, “Dextrous” and “Aftermath,” were both highly regarded as the latter shot into the U.K. pop singles Top 40. The singles laid down a good deal of the groundwork and inspiration for the downtempo experimental hip-hop/electro-funk artists in the following years. Nightmares on Wax produced the first new track by De La Soul in several years, included on an EP (Sound of N.O.W) featuring the rap pioneers. Following not far behind was a volume in the Studio !K7 mix series. Two years later, Evelyn delivered his fourth LP, Mind Elevation. A longer gap preceded the release of his next proper LP for Warp. The Though So album was released as the final album for Warp in 2008. Although Nightmares on Wax created a sound that is not easily classifiable, the distinct chillout sound is what makes this artist a true expert in the musical craft. Who needs coffee to wake up in the morning when you have the energizing sound of Coyote Kisses to liven you up a bit?! Coyote Kisses mixes funky glitchstep roots with trance, glitch-hop and house influences. They use a variety of synth sounds mixed with epic drops and structured soundscapes to create an astro-funk feel to their music. 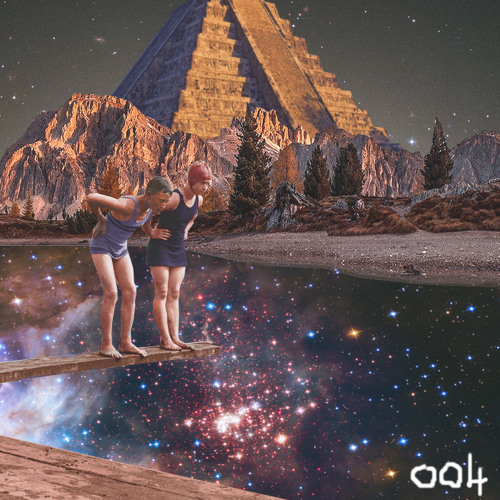 This adventurous glitchstep group will be pioneering their way onto the main stages of festivals in no time. Coyote Kisses is comprised of two college students, Bryce Bresnan and Joseph Sussingham, both originating from the city of Lakeland, Florida. The duo formed during the summer of 2008 and Coyote Kisses began as an electro-pop project. The project exclusively combined vocals of the two artists with electronic audio hardware, piano and guitar to create a live-performance based band. As the summer came to an end, Coyote Kisses was put on pause, as both members headed off to separate universities to pursue their academic interests (Bryce- New College of Florida, Joe- Washington and Lee University, VA). The Acid Wolfpack EP was Coyote Kisses first release. It has three tracks on it: “Acid Wolfpack”, “Galactic Love Song”, and a remix of “Somebody That I Used to Know” by Gotye that was released for free on the same day the EP went out under Burn The Fire Records. The EP hit #6 of the Beatport top 100 Releases, while individual tracks got some awards for themselves as well. “Acid Wolfpack” hit #2 in the Dubstep top 100 tracks and then got moved over by Beatport to Glitch-Hop where it hit #1. “Galactic Love Song” broke the top 10 in Nu Disco. Coyote Kisses has big plans for the near future as they have a few shows lined up for the next few months. The group plans for their first tour this summer in 60 different cities. Unfortunately, both members are full time college students at the moment and it is difficult to manage their time. It’s tough enough to get spare time to work on music, let alone multiple weekends to spend out of town while attempting to concentrate on academic interests. Nevertheless, Coyote Kisses never seems to disappoint their fans. Break out the incense, simmer down and explore the chillout-lounge aesthetic created by Thievery Corporation. Thievery Corporation’s sound is comprised of mixing reggae-dub roots with electronic, jazz and bossa nova influences. The unsyncopated ensemble rhythms are layered over the sparkling clean sound of the reggae guitar, lead bassline, dreamy synth effects and horn sections. Thievery Corporation is known for their international style of music production that includes sounds and vocals from around the world. The international style of Thievery Corporation blends the global sounds with elements of conscious lyrics and vocal samples. Thievery Corporation is a Washington D.C. based DJ duo consisting of Rob Garza and Eric Hilton. The group was formed in 1995 at Washington D.C.’s Eighteenth Street Lounge. Rob Garza and the lounge co-owner Eric Hilton created Thievery Corporation with the inspirations of their mutual love for club life as well as dub, bossa nova and jazz records. They both decided to take a shot at mixing all these styles in a recording studio. Surprised by the chill-lounge sound of their music production, Thievery Corporation and their Eighteenth Street Louge Music record label was formed. Thievery Corporation has taken progressive political stances on various issues opposing war and exploitative trade agreements, while supporting human rights and food programs. The album titled, ‘Richest Man in Babylon’ reveals the group’s opposition to the positions and initiatives of the former president George W. Bush’s administration. They followed Babylon with 2005’s The Cosmic Game, which featured politically minded collaborations with Perry Farrell, Flaming Lips frontman Wayne Coyne, and David Byrne. In September of 2005, Thievery Corporation participated in the Operation Ceasefire concert, with the objective of increasing awareness to the devastation caused by the Iraq War. Following ‘Radio Retaliation’, Thievery Corporation has released a sixth studio album in 2011, ‘Culture of Fear’ — a cinematic sounding exploration into psychedelic space rock which blends elements of funk and soul, with a bit of reggae-dub thrown in for a nice upbeat feel. Throughout the years, Thievery Corporation has provided a relaxing refuge for fans around the globe with their hazy sound collections and chill-out lounge atmosphere. If you have robot ears or just want to get a little glitched out, The Glitch Mob may have what you’ve been looking for. 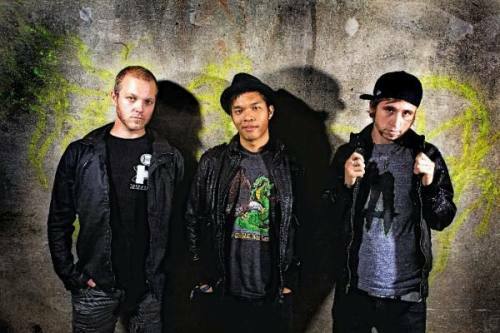 The Glitch Mob is notorious for their bass-driven electro rhythms mixed with addictive drum beats. This dynamic sound embraces glitch-hop roots that blends electronic, dubstep and rhythmic influences. For the past several years, The Glitch Mob has devoloped a solid fan base through showcasing their sound and technology during performance solos using laptops and MIDI controllers at various music festivals worldwide. Glitch sounds are often produced on computers using modern digital production software to splice together music samples from previously recorded works. These cuts are then integrated with the signature of glitch music in which the beats can be made up of glitches, clicks, skips and scratches. These glitch clips combined with digital synthesizers used by The Glitch Mob are usually very short, and are typically used in unison with traditional percussion. Skipping CDs, scratched vinyl records, circuit bending, and other sound distortions are prominently involved in the creation of rhythm and feeling of glitch. The Glitch Mob has been able to incorporate technology into every step of their creative process successfully. The group’s upbeat energy has continued to shake up dance floors with a sound that transcends into the emotion of the listeners. Below is a video released by The Glitch Mob who remixed Daft Punk’s ‘Derezzed’ Music Video, honoring the harmony of vision and sound. Mr. Scruff is far from your ordinary DJ as he owns a tea brewing company, draws his own comics and animations while continuing to create music for over a decade. The playful break-beat rhythms of Mr. Scruff’s sound has attracted the buzz of DJs and critics alike. Mr. Scruff features subtle vocal samples thrown over repetitive loops and mixes acid jazz roots with funk, soul and triphop influences. He is known for his marathon style of DJ sets that often exceed more than six hours of play time. 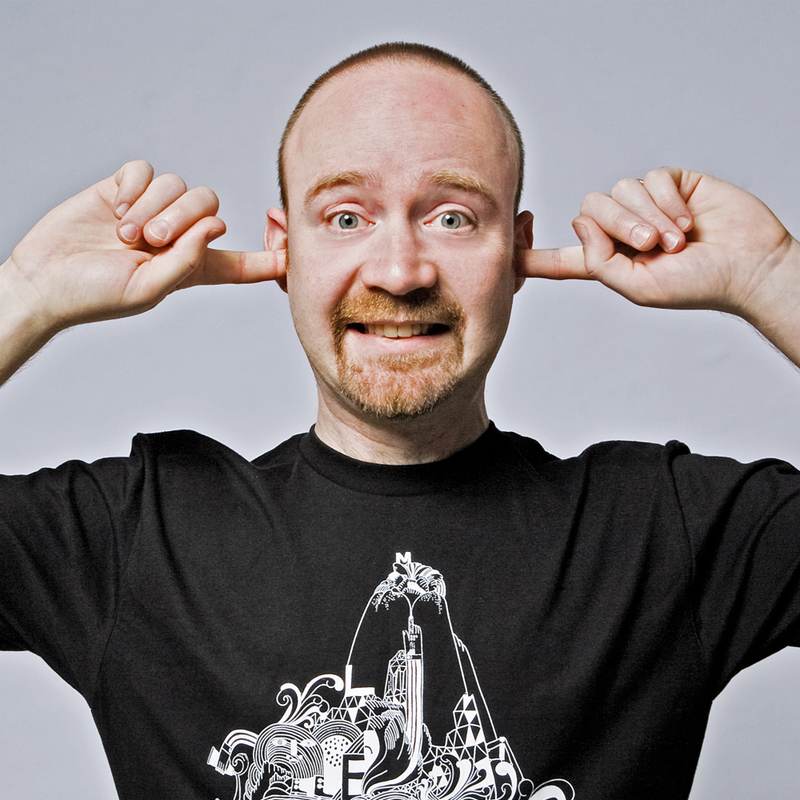 Occasionally, he uses cut up recordings of voice-over children’s stories and nature documentaries to create surreal and silly stories in his tracks. Mr. Scruff is an avid record collector and his DJ sets reflect on this as he includes everything from the ’60s and ’70s soulful jazz and funk, scratchy old reggae clips, classic hip-hop beats, vocal pop and electro. Mr. Scruff’s love for a “nice cup of tea” has grown into his own tea brewing business. He began selling tea from a small Manchester club called ‘The Music Box’, where he was resident DJ and gave the proceeds to charity. When Mr. Scruff started touring, he took the tea enterprise with him and gained a reputation for being the DJ with the teashop. When performing at festivals, such as ‘Big Chill’, he opened tea stalls and tents that were open for the duration of the music festivals. After realizing the amount of tea he was selling, he started an online tea company, “Make Us a Brew,” and produces his own Mr. Scruff variety of tea bags. Mint & Chilli– A blend of organic spearmint and peppermint with a twist of chilli for an extra mini-tickle factor, without going over the top. English Breakfast The official make us a brew! Tea caddy, featuring Mr. Scruff’s quest for the perfect brew. Complete with 50 proper organic English breakfast teabags that are full bodied, malty & fantastic anytime. Big Chill – Organic rooibos, pear and cinnamon, with valerian, for a lovely relaxing brew. Pretty Lights describes the genre of his music as ‘ElectroHiphopSoul’ and that term couldn’t be any more valid. The soulful essence of Pretty Light’s tunes consist of abstract hip-hop beats that fuse electro qualities with vintage vocal samples, potent hooks and bold synthesizer patterns. The output of Pretty Light’s music features digital sampling that crosses different genres together, forming a brilliant combination of electronic roots with funk, soul and hip-hop influences. Unlike most artists, Pretty Lights has ALL of his albums and EPs available for free downloads on his website with the option to donate. Smith has been remarkably productive in creating music for his growing fan base. He has released several albums and EPs across the span of a few years, including the full-length albums: ‘Taking Up Your Precious Time’ (2006), ‘Filling Up the City Skies’ (two fully stuffed CDs worth of material, 2008), ‘Passing by Behind Your Eyes’ (2009), and three EPs: ‘Making Up a Changing Mind’ (2010 EP), ‘Spilling Over Every Side’ (2010 EP), ‘Glowing In the Darkest Night’ (2010 EP). The album, ‘Filling Up The City Skies’ was downloaded over 30,000 times from the Pretty Lights website in the first 3 months of release, proving that the Pretty Lights sound is not only getting around, it’s spreading like a virus. 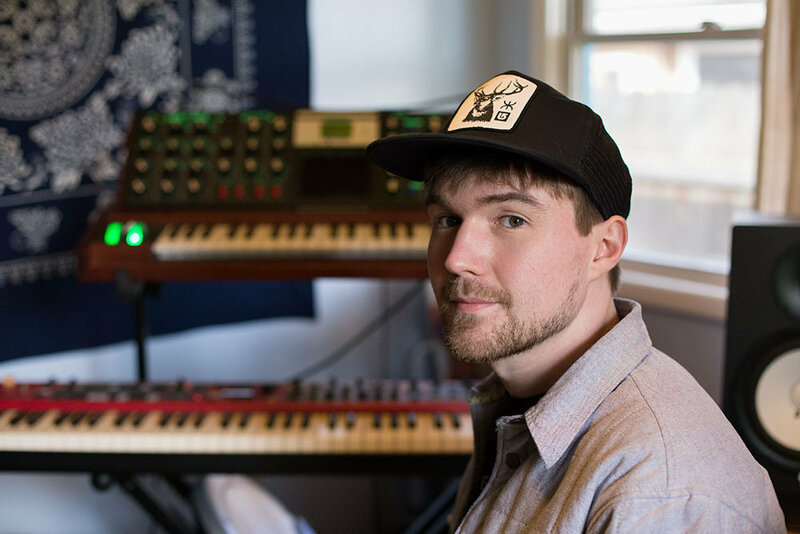 Smith recently released two albums on his newly formed record label, Pretty Lights Music. The record label offers free downloads for any of Pretty Lights’ albums plus Michal Menert, Paper Diamond and Break Science, all currently on Pretty Lights Music. Gramatik is the latest addition to the Pretty Lights Music record label with his first album, ‘Beatz & Pieces Vol. 1’ (2011), available for download as well. Pretty Lights puts on a real show when he is performing at concerts and spends thousands of dollars on his LED light shows alone. Pretty Lights has been touring across the United States while taking over music festivals. As a result, he has picked up an exponentially growing fan base in which most of his shows are sold out weeks before the day of the concert. Below is a new video (released 2 weeks ago) by Pretty Lights for his newest song ‘We Must Go On’. Chillax on the couch, sip on a warm cup of green tea and immerse your mind in Emancipator’s clean production of mellow break-beat rhythms. Emancipator’s music has a unique style of combining triphop roots with jazz, classical, and electronic influences. Emancipator is best known for his subtle buildup/breakdown, headnodic beats, hypnotizing bass and extended harmonic patterns with the use of tonal harmonies. The naturesque soundscapes of Emancipator’s music provides lucid imagery to the listener while supporting the compact layers of violins, electric/acoustic guitar, choirs, horns, banjos, bass, drums and piano. Appling seems to follow his signature formula for this album by creating electric guitar riffs that are thrown over the piano line. The guitar and piano fade out after a slight pause which leads to a mellow synth rhythm for a break, until it reappears and fades again into the darkness of a forestry landscape that has been painted for the listener. Emancipator’s ability to make the music flow naturally by layering different sound elements on top of a cadent drumbeat makes for a truly intriguing listen for any instrumentalist or triphop fan.